The 1.13 preview for Optifine doesn't accomodate this feature yet. A folder of custom SKINS is also included in the resource pack folder! A variety of Armor. The leather armor here is dyed lime, but feel free to make your tunic any colour you like. Gotta get that chu chu jelly! 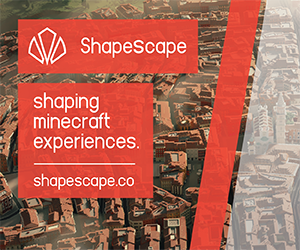 Explore and settle the NEW HYRULE! 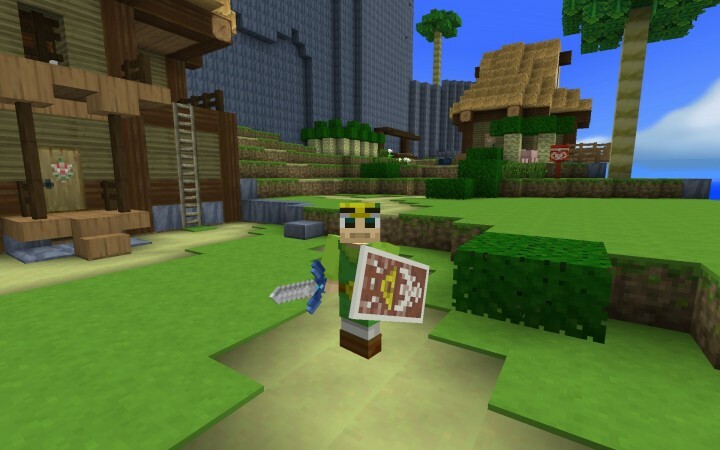 The goal of this resource pack was to create (from the ground up) a Zelda-themed mash-up in the vein of, and matching the quality of the Super Mario Mash-Up that was released for the Wii U version of Minecraft. 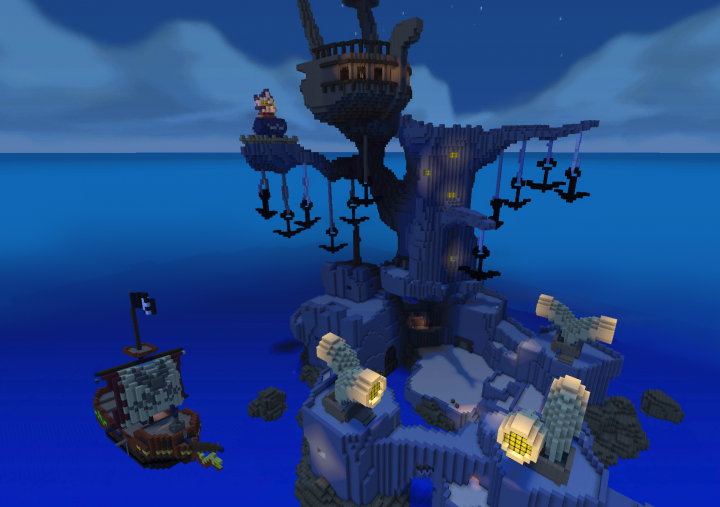 This is mainly themed after Wind Waker but there are numerous pulls from other games in the franchise. This pack works on it's own, but it's best used in conjuction with the Optifine profile which can be downloaded here: http://optifine.net/downloads The Optifine profile enables the custom skybox, lighting, and mob variants that I created for this pack. I also recommend playing with clouds turned off since there are already clouds in the optifine enabled skybox. 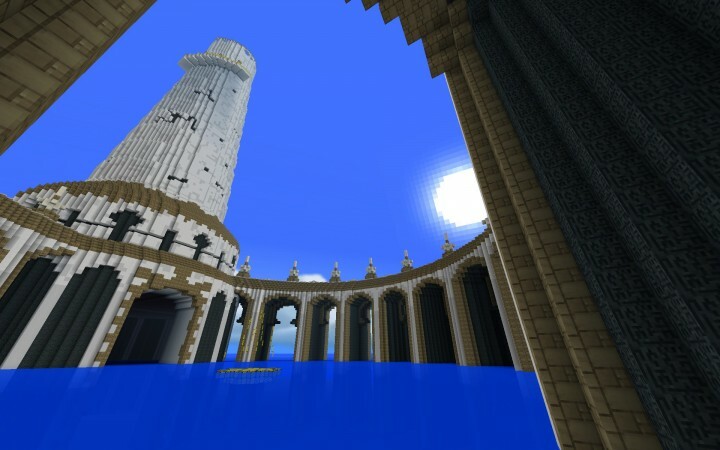 What makes this Wind Waker Resource Pack special? -I tried to make it a solid resource pack even if you don't know Zelda, so that you still enjoy it even after the initial novelty wears off. Why is it 16x16 and not HD? A few reasons: Firstly, Nintendo's own official "Super Mario Mash-Up" for Minecraft Wii U was only 16x16 and this pack was inspired by that one. Secondly, I think lower resolution textures mesh better and don't look as awkward on the blocky models of Minecraft. Lastly, by making this in a 16x16 resolution I was able to fully redesign all of the graphics in 4 months, instead of 4 years. There are a number of other good Wind Waker-inspired packs out there, made by folks like Ravecat, Fluesopp, IronSentron, and Blaziken584 which you should check out if you want an HD pack, but none of those were exactly what I was looking for, so I made my own. -With the full release of Optifine 1.13.1 they've changed the name of the folder where all of the special optifine features are saved, so I've accordingly changed that folder name so that the pack can find all of the optifine files. -Fixed the horse/llama inventory menu to accurately convey where their equipment should be placed. -The latest version of optifine doesn't like to give special textures to items renamed using an apostrophe, so I've removed that. 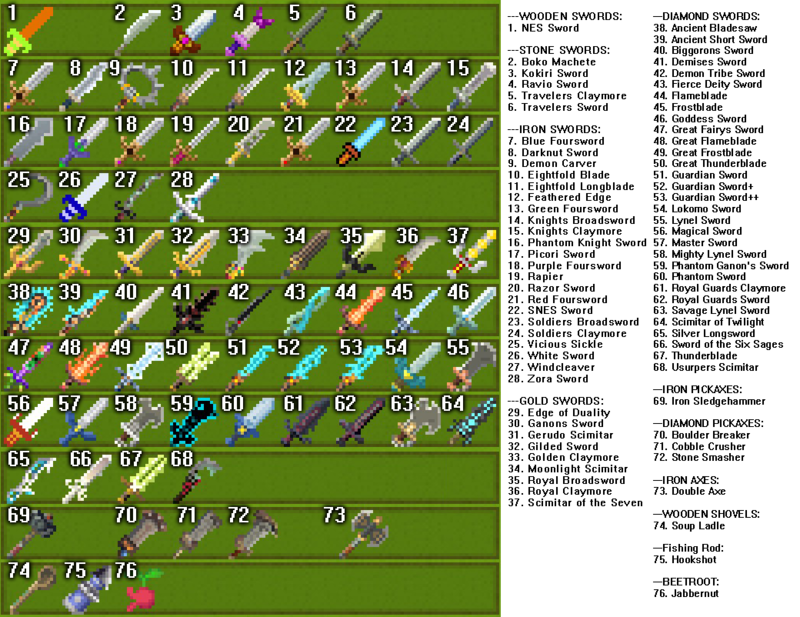 is there a guide of the optifine item names? there is a map Zelda a link between Worlds how I could have it ? Sorry; I only made as much as you can see in that screenshot to show that you could make a Link Between Worlds map if you wanted to. Nice work, I saw your submission from someone who subbed me, let me know if you want any 3D models done, if you want to see my work its here on Planet Minecraft. will there be an update for 1.3.2 soon? There doesn't appear to be any changes in 1.13.2 that affect resource packs, so probably not. As far as I can tell the current version of this pack is perfectly compatible with 1.13.2. Are you aware of something that's changed, that I should address, or do you just want all the numbers to be the same? can you submit the map too? Thanks for the tip! I've fixed that problem and reuploaded the pack, so this should not be an issue anymore with the newest release version of Optifine. Well right now Optifine isn't even updated to 1.13.1 officially yet, so we're all in the same boat. The only differences without optifine are the lighting, the sky, the lack of mob variants, and the lack of secret swords. Other than that the resource pack is 100% complete without it... or are you just poking fun at how much I'm trying to hype the subtle improvements that I've included for optifine users? Thanks for the tip. They changed the filename on that one and I missed it. Fixed now. Okay this time I fixed it AND tested it. We're good. Dude, this has made leaps and bounds since I last saw. This pack - dare I say it - might be better than mine! OK, no, this is DEFINITELY better than mine. A preview version of Optifine 1.13 is out. Thanks for the tip. I didn't realize I could download the preview. Currently the lightmap in the Optifine 1.13 Preview changes reds to blues and blues to reds which makes nighttime a very red time of day unfortunately, but as soon as there's a preview that is properly compatible with my pack I'll update here. NO WAITING! We're live with 1.13 baby! oh sweet right on dude! yo, i love your resource pack, but its a shame that i won't be able to use it for 1.13 but understand what you mean. Now I just checked Optifine, and they just released a preview version for 1.13. Just to let you know. 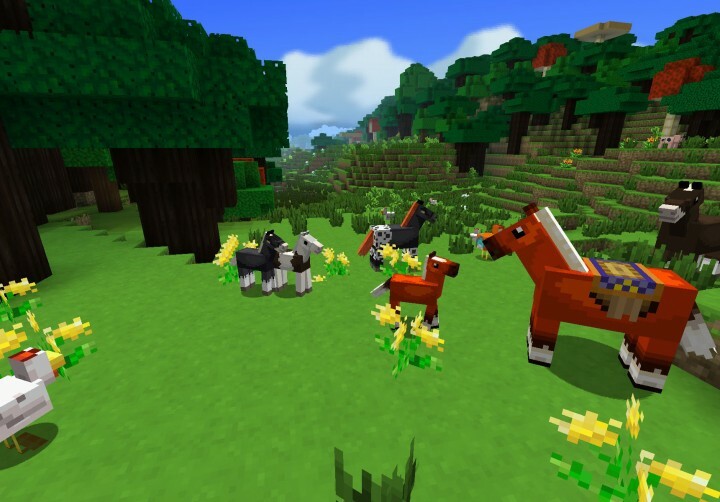 Looking forward to the 1.13 version tho in stable! Hey, Is it okay if I use this in an adventure map as long as in the description I "link" back to this page? As long as you credit me as the creator of the resource pack and link back here that's fine by me. you have plans for 1.13 when it comes out? I've already got an update to the pack lined up and working in the pre-release snapshot. Just waiting on two things: 1)The official Aquatic release. 2)The first update to optifine that will be 1.13 compatible. Thats great man good work man! this is the main resource pack i use on MC! I just have to say, this is the best Zelda texture pack I have ever found! please never stop updating this texture pack, it's too good! also, I think I have found a bug, one of your villagers ( a guy with a mustache, wearing like a red farmer outfit) when I right click him, it doesn't seem he wants to trade. But the other villagers trade, just not this one for some reason, idk if it's just me or this a bug. also, I have a suggestion, can you maybe add the Hylian Shield to your texture pack? I actually prefer the Hylian Shield over the Wind Waker shield, like maybe you can take the Wind Waker Shield to an Anvil and change the name to "Hylian Shield" then it will actually turn into a Hylian Shield, maybe that could work? Also, I'm very happy you're adding Breath of the wild things on your texture pack and I have another suggestion, can you change one of the flower textures and turn it into the "Silent Princess" Flower, that would be an amazing addition. Anyway, I love this texture pack so much, KEEP UP THE AMAZING WORK! I hope one day this texture pack can surpass the old famous Zelda texture pack that no longer updates! You're in luck. Silent Princess will take the role of Corn Flower in 1.14! The Armor texture, ABSOLUTE GENIUS! I love how you made the Diamond armor into the Magic Armor from TP. But I have a question. What is the Gold armor suppose to represent? I know the iron armor is the darknut armor and Chain armor is Zora Armor etc. but I couldn't figure out what is the gold armor. I've already got a good head-start on the Update Aquatic so look for the updated pack in the weeks following that update. I believe the villager you are trying to interact with is the "Nitwit" villager, who offers no trades. In the next update I've finally based the Creeper on a Zelda enemy class, and it's from Breath of the Wild. The gold armor is based on the Hero's Charm from WW, the Power Bracelets from WW, the Hover Boots from Oot, and then just a generic golden breastplate and faulds. Awesome! I can't wait to see more of your amazing work on this texture pack next update! (Surprise me with that spear!) I wish there were more dragons in Minecraft so you can texturize them to be the 3 dragons from BOTW, that would be amazing. But alas, we only have one :P Which btw, I love what you did with the Ender Dragon. Honestly, I didn't expect it to be the Twilight flying enemy from TP, but job well done with the texture, I love it! I've always wanted to play Wind Waker, maybe this can be my first jab at it! 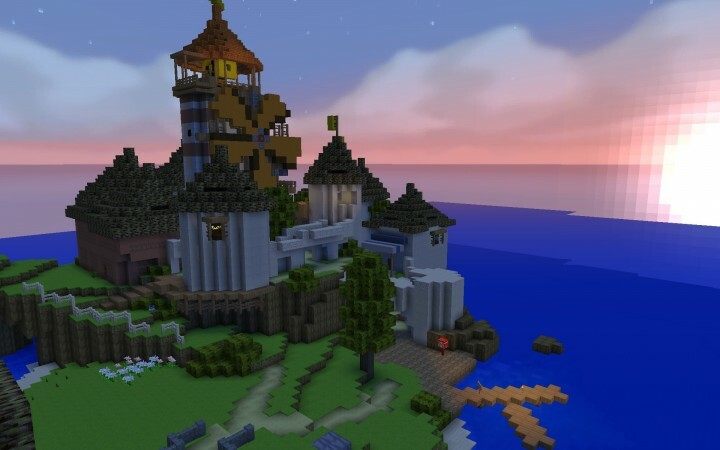 World map as in the world of Wind Waker recreated in minecraft? If so: I'm working on it. If you mean something else: do tell. Yes, the Wind Waker map, I'm excited. How far into the project are you? Also, are you going to be doing dungeons? Forsaken Fortress, Windfall, Dragonroost, Tower of the Gods, Flight Control Platform, Private Oasis, Outset and the Pirate Ship are all done. The top two rows of islands are marked out. The dungeons don't all fit within the physical space that the exterior of their islands can contain, so as of now we aren't including them, but we might use a warp mod to make that happen. Thanks! That was the goal! I love this pack a lot since The Wind Waker was the first LoZ game I ever played and can't wait for a 1.12 update for it :D Would you/Have you possibly considered making a Breath of the Wild texture pack as well? Or a texture pack based off another LoZ game? Breath of the Wild hadn't been released yet when I published this resource pack, but because it is also cell-shaded game I have made some changes because of, and included more references to BotW that will be included when I update this to 1.12 soon. For example, Wind Waker didn't have horses, so the horses in this pack were just loosely based on the horses in Ocarina. But now that there is a cell-shaded game with horses, I've changed the horse colors to match those BotW (the blue-ish grey horses in BotW I felt really fit well with the WW style.) I've also done a bunch of other things like changing the beets to look like "Hearty raddishes" and adding a rare chicken that looks like the BotW-style cuccos. 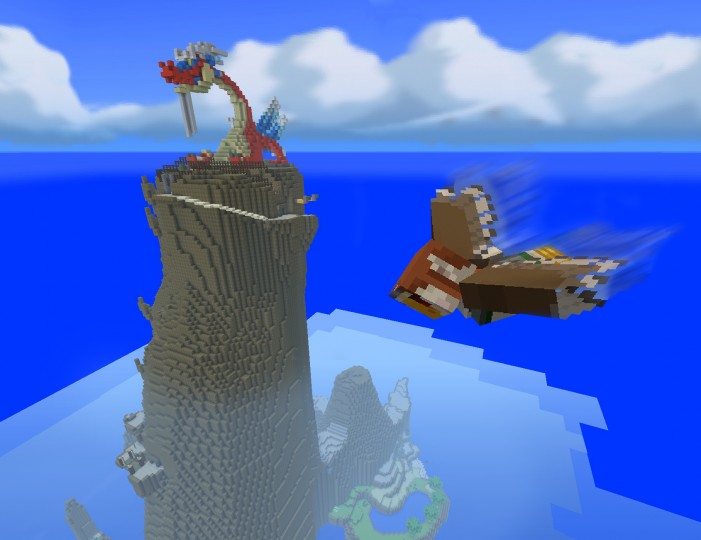 As for other resource pack plans... Wind Waker has a style that's very well suited to a resource pack. Even just the color of the water, sky and grass is enough to make it instantly recognizable as the world of WW. I'm not sure if any other Zelda games have a look that can be conveyed so simply. I've thought of making an Animal Crossing pack, but I think I'll just focus on making this resource pack as good as it can be. There's an issue with melon and pumpkin seeds not shwoing up for me, do you know of a way to fix it? Otherwise, I really love the pack! Is anyone else having this issue? I'm not able to replicate the glitch myself so if anyone has any more information on this, let me know. This looks awesome man! will there be a 1.12 update once its out? You bet! I won't start working on it until 1.12 comes out, so don't expect a same-day release, but I've already got a list on my phone of changes and fixes I want to make along with the 1.12 additions. Breath of the Wild has defined the official look of certain things (like wheat, meat, skeletal horses, etc) in the Zelda universe, so I'll go back and revision some of those things too. Never mind, I opened the in pack credits file. Kudos. I was aware of Blaziken584's work when I started this, and I had considered just updating theirs, but ultimately decided that it would be best to do everything from scratch myself so that it would feel unified. 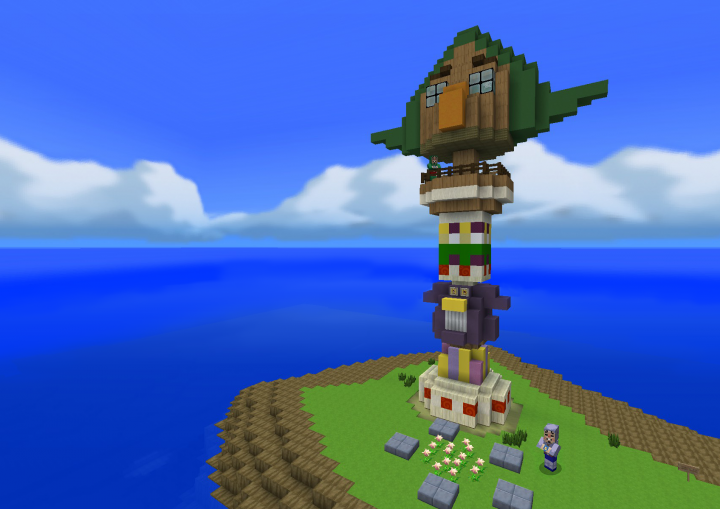 I didn't use anyone's textures except Nintendo's and my own, but since I was aware that there were other Wind Waker resource packs out there, when I wasn't sure what to do with a certain mob or block I sometimes see what they did and decide whether I wanted to do something similar. A good example is the silverfish. I had originally made the silverfish look like the worm boss from LttP because that seemed like the closest Zelda equivellant, but wasn't totally happy with it. I looked at another Wind Waker pack (Blaziken's or a modified version of it) and they had turned the silverfish into the rat from Wind Waker which I thought was quite clever. I made my own rat texture from scratch, but I did get the idea from them, which I why I mentioned them and other creators of existing WW packs in the credits file. I've already got a list of changes in my phone. I like your work. Me and a team of developers have been working on something huge for the past couple of months. I personally invite you to come check out our work. If you're interested, feel free to message me for the details. I know that it used to have custom music discs, but does it change any of the other sounds? It does have other sounds. To name a few: Witches sound like Wizzrobes. Endermen sound like poe. Blaze sound like Bubbles. Zombies scream when they die (I know in Zelda they scream when they're active, but that got annoying.) Pistons make the sound from Wind Waker when a door gets barred behind you. And my favourite of all is that when you open an enderchest (which looks like a mailbox) it makes the "cough-up-the-mail" sound that the post-boxes in Wind Waker make. I'm sure there are a few others that I've forgotten to mention. OMG THIS IS JUST INCREDIBLE I LOVE IT SPECIALLY THE MOBS THANK YOU SOOOOO MUCH FOR CREATING SUCH A MASTERPIECE !! !